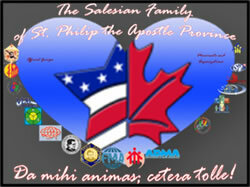 We are the Sons and Daughters of St. John Bosco who work and live in the eastern United States and in Canada. We belong to a worldwide Family, a “vast movement of persons” at work in over 130 countries for the entire well-being – physical, material, emotional, intellectual, and spiritual – of the poor, the ill, the weak, and the marginalized, but most especially of poor and abandoned, at-risk, young people. Ours is a Family “totally of Mary.” Don Bosco himself always taught that it was “Mary who has done everything.” She was the teacher whom Jesus, Her Son, entrusted to him in his Dream of Nine Years Old. 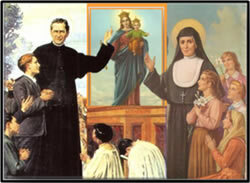 It was she who guided Don Bosco in his work with the young and in the founding of his Religious Family. The apostolic Family of Don Bosco is called Salesian because it is linked to Saint Francis of Sales, whom Don Bosco chose as his inspiration and patron as with his work and writings he proposed that Christian humanism and that expression of charity which corresponded so well to his intimate aspirations. It is a humanism that does not ignore man’s weakness, but is based on an unshakable confidence in the intrinsic goodness of the individual who is loved by God, and by Him called to Christian perfection, in every state of life. This humanism is a constitutive element of the charismatic and spiritual experience of the Groups founded by Don Bosco, and as a precious inheritance has been made their own by the other Groups which today are aggregated to the single Family. The whole Salesian Family, therefore, enters into this large movement, offering to the Church an original contribution in the field of education and in apostolic work. Don Bosco, through the direct intervention of the Blessed Virgin Mary, inspired this vast movement of people, called the Salesian Family, who in different ways work “for the greater glory of God and for the salvation of souls, especially of poor and abandoned youth.” He himself founded not only the Society of St. Francis de Sales (Salesians of Don Bosco – SDB) but also the Institute of the Daughters of Mary Help of Christians (the Salesian Sisters – FMA – along with the Co-Foundress, St. Mary Domenica Mazzarello), the Association of the Salesian Cooperators (ASC), and the Association of Mary Help of Christians (ADMA). 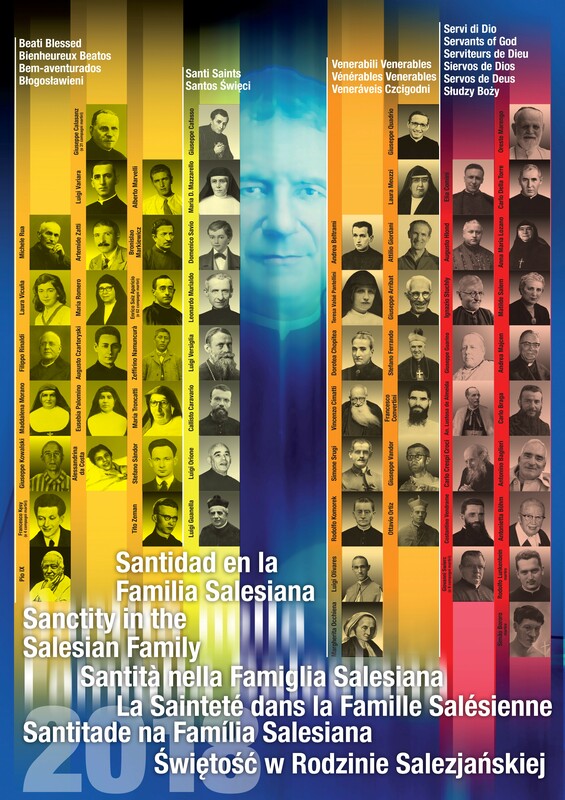 Including these and others that originated in different parts of the world, founded by members of the original four Groups named above, the Salesian Family today consists of 30 officially-recognized groups that have a total of 402,500 members. 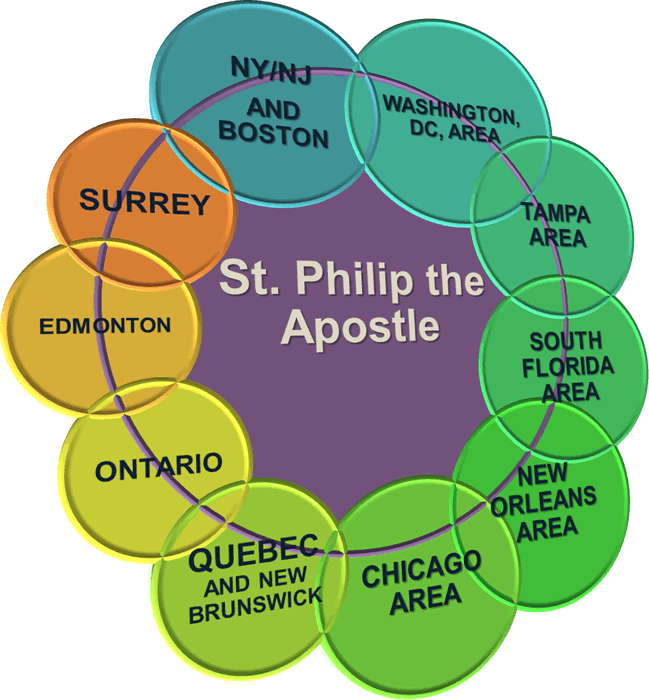 Ours is a charismatic and spiritual community comprising different Groups, officially established and recognized, and linked together by ties of spiritual relationship and of apostolic affinity. Yet, these Groups are unique in the gender of those who belong, male and female; their specific vocations, Religious and Lay; the individual ministries they carry out; their state in life as married or celibate; the Statutes by which they live; and the variety of social, cultural, religious, and ecclesial contexts in which they work. Don Bosco’s charism continues to inspire people of good will. 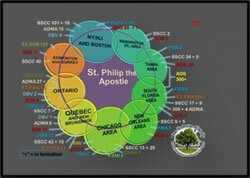 There are currently 23 more groups that are seeking membership within the Salesian Family. 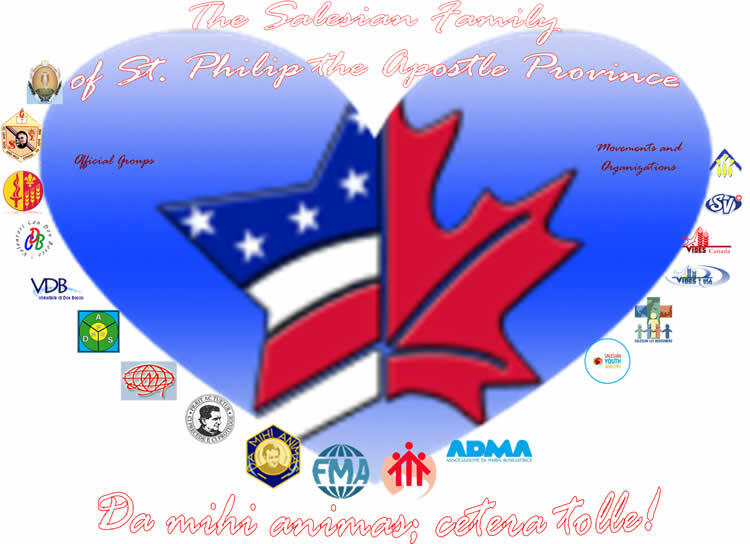 Some members of 12 of the 30 Official Groups make their home and live their mission in the eastern United States and in Canada. Unity [among us] is nourished by the common baptismal consecration by which all are drawn into the Mystery of the Trinity and in communion with the Church; by participation in the Salesian mission at the service of the young and the poor and for the promotion of a new Christian humanism; by a new sense of citizenship and solidarity on a global scale; by sharing the spirit of Don Bosco; by the exchange of spiritual gifts within the Family; by a common reference to Mary Help of Christians and to Don Bosco, their holy Founder or Patriarch; and by the special link with the Rector Major, the successor of Don Bosco. The Salesian Family consists of Christian men and women, consecrated men and women who with the individuality of their own charism and spirit, place themselves at the service of the mission of the Church, especially in the vast world of youth, in working class areas, for the poor and for peoples not yet evangelized (apostolic). Living at the heart of the Church and carrying out the Salesian mission, it reflects the different gifts, unites together particular vocations within a single spiritual and apostolic Family, expresses communion between the various different ministries, all directed towards the service of the people of God (catholic). Being present in the local Churches, it fosters communion among its members and with the Successor of Peter, in this way re-living the devotion to the Pope handed down by Don Bosco (one); it participates in their apostolic activity, offering its own particular contribution. especially in the area of the mission to the young and to the working classes; it promotes understanding and collaboration with other groups and institutions for an all-round education of the individual; it takes care of the vocational guidance of the young, educating them to the faith and setting them on the way to an apostolic commitment in the Church and for the world. In order to carry out their educational mission the various Groups make good use of the support of the Past Pupils including those belonging to other religions or with different views of the world (catholic). All heirs to the Salesian charism and spirit, the Groups establish among themselves a very close relationship so that each Group expresses the identity of the Salesian Family, but not without reference to the others. In fact, entering into a Group, in virtue of a specific vocation, means entering the whole Family; it is as though each one feels entrusted to the others in a mutual relationship. All this is for the benefit of the mission, since it makes it possible to undertake in a more adequate and effective manner the human development and Christian education of the young, of poor people, of the sick and of peoples not yet evangelized. The task of seeing to the unity, growth, and collaboration among the Groups has been entrusted to the Provincial Consulta, a body comprised of the leaders of the various Groups present in that geographic territory, or of their Delegates. It meets regularly to plan formation initiatives of study and knowing Don Bosco, his mission, and his spirit; to share positive experiences in the apostolate; to have concrete experiences of the Salesian Family; to come to know and value each Group for the ultimate purpose of collaboration in the apostolate, seeking to respond in communion to the pastoral challenges of the local Church, though in varied ways according to each Group’s particular identity; to strengthen bonds with the Bishops, the local Church, and those entities of civic society that are directly involved in areas proper to the mission of the Salesian Family. Given the length and breadth of our geographical territory, the development of local Salesian Family Commissions has been deemed indispensable so that the objectives above might be achieved with efficacy. At present there are 10 identified “areas” in our Provinces: the greater Metropolitan area of NY/NJ/Boston area; the Washington, DC area; the Tampa Bay area; the South Florida area; the New Orleans area; the Chicago area; the Quebec/New Brunswick area; the Ontario area; the Edmonton area; and the Surrey area. January 31 St. John Bosco, Priest, founder of the Salesian Society, the Institute of the Daughters of Mary Help of Christians, and the Salesian Cooperators, and the Association of Mary Help of Christians (ADMA). November 25 Anniversary of the death of Mama Margaret, Don Bosco’s mother. Mass is celebrated in each Salesian house for the deceased parents of Salesians. December 8 Immaculate Conception of the Blessed Virgin Mary. Birthday of the Salesian work (1841). “The real protagonists of the new evangelization are saints: they speak a language that is comprehensible to all with the example of the life and deeds of charity” (Benedict XVI 23.10.2012). It is indeed our bounden duty to express a deep gratitude and praise to God for the Holiness already recognized in the Salesian family of Don Bosco and for those who are on the way of being recognized. The result of a cause of beatification and canonization is an event of extraordinary relevance and of ecclesial significance. In fact, it involves a discernment on the fame of holiness of a baptized person who lived the Beatitudes to a heroic degree or who gave his life for Christ. The celebration of the bicentenary of Don Bosco’s birth was a favorable opportunity to deepen and spread his spiritual experience, which flourished in rich and diverse fruits of Holiness. Starting from on Don Bosco to the present day we recognize a tradition of Holiness which deserves a special attention because the charism received from Don Bosco, expressed itself in several walks of life in its diverse forms. They are men and women, young and old, religious and laity, bishops and missionaries in different social, cultural and historical contexts in time and space have made Salesian charism to shine, representing a heritage which plays an effective role in life and in the community of believers and men of good will. We are concerned about 169 among saints, blesseds, venerables and servants of God. Ony 51 are directly followed by us. Tito Zeman, Priest, Martyr (Slovakia). Holiness is the incarnation of the charism and helps to live the Salesian spirit in a realistic way, overcoming the temptation and danger of ideologies and false justifications, by offering good practices which is the result of the incarnation of authentic charism. There is an apologetics of Holiness that reveals the beauty and truth of the Gospel of Christ and of the Salesian charism by life and not by words and documents. All our Saints, Blesseds, Venerables and servants of God carry richness of aspects that deserve greater consideration and appreciation. It is contemplating a diamond with many facets, some more visible and attractive, other less immediate and pleasant, but nevertheless real and decisive. Knowing and making known these extraordinary figures of believers provoke a progressive involvement in their own way, a keen interest to their story, a joyful sharing of plans and hopes that animated their journey. We have young saints; for example, Dominic Savio, Laura Vicuña, Ceferino Namuncurà, 5 young Oratorians of Poznan…. In particular it is urgent to emphasize some aspects of the witness of Saint Dominic Savio which in my humble opinion deserves renewed attention in several respects. This calls for reviewing the preventive system more than as pedagogical educational aspect. In fact as Don Bosco himself testifies that there is a grace that is active and revealing in the preventive system. In the sanctity of the young, the first communion has a decisive value. The fact that constitutes a kind of head-row, a kind of teacher in the ways of God(as don Bosco sees him in the dream of Lanzo of 1876) and that is confirmed by the life of so many of our blessed, venerable and God’s servants able to make its intentions of Dominic: Laura Vicuña, Ceferino Namuncurà, Joseph Kowlaski, Alberto Marvelli, Giuseppe Quadrio , Ottavio Ortiz Arrieta. The role of Dominic in the Foundation of the sodality of the Immaculate conception, was the seedbed of future Congregation, in relationship with John Massaglia, a true friend of the concerns of the soul and of which Don Bosco said: “if I wanted to write the beautiful stretches of virtues of the young Massaglia, I should repeat mostly the things said of Savio, of which he was a faithful follower as long as he lived”. The altruistic sacrificing dimension expresses the deep roots of the “Da mihi animas”. In this line, the first and foremost is the venerable don Andrea Beltrami (1870-1897). Here, It deals with a witness for the curiosity and for the reasons attached to the letters dated or handed over in the vernacular language. This is being dissappered from the visibility of the Salesian world. It reminds us of the incompatibility of Christian Message with that of the world. If one is ignorant, the evangelical message can become a shallow message. For us salesians, the charism if not safeguarded in its charismatic roots of the spirit of sacrifice, of strenuous work and apostolic renunciations, could become the same. The witness of don Andrea Beltrami is a paradigm of Holiness that starting from the Venerable Andrea Beltrami, Blessed Augustus Czartoryski, Blessed Luigi Variara, continues with other persons of the family, such as Blessed Eusebia Palomino, the blessed Alexandrina Maria da Costa, the blessed Laura Vicuña, not to mention the large number of martyrs(among whom we must mention the 95 martyrs of the Spanish civil war , including many young confreres in the formation and young priests). The dimension of “disturbed family’: The history of salesian holiness also passes through the history of ‘disturbed families’: families where at least one of parental figures is absent or the presence of mother and father becomes, for different reasons (physical, psychological, moral and spiritual), detrimental to their children. Don Bosco, who had experienced the premature death of his father and the distancing from the family for the prudent desire of Mamma Margaret, wants – it is not a coincidence – that Salesian work particularly devoted to the poor and abandoned youth “. The servant of God,Anna Maria Lozano, who was born in 1883 in Colombia, coming from a family wherein his father was hospitalized on the appearance of the terrible leprosy. His transfer to the place of the hospital impeded his religious calling, but eventually, her realized that it was really a providential to meet the blessed Luigi Variara, a Salesian. The vocational dimension: the bicentennial perspective deserves mention of two figures of martyrs who embedded this event that invited us to observe and realize the history, pedagogy and spirituality of don Bosco and of which the cause for beatification is so amazing. Stephen Sándor (1914-1953), beatified in 2013 (the cause began in 2006), is remembered for invoking the vital need for complementarity of the two forms of the one consecrated Salesian vocation: lay one (coadjutor) and priests. The numerical decrease and the absence in different parts of the Congregation of the figure of the coadjutor is an indication either of the crisis of identity of consecrated life or is the risk of a clericalization. The shining witness of Stefano Sándor, as Salesian coadjutor, expresses a clear and decisive choice of vocation, an exemplary nature of life, an educational authority and Apostolic fruitfulness, to look for a presentation of the vocation and mission of the Salesian coadjutor, with a predilection for young and the working world. BlessedMichael Rua, Blessed Philip Rinaldi, Blessed José Calasanz, Venerable Vincenzo Cimatti, Venerable Augusto Arribat, Servant of God, don Carlo Braga, servant of God father Andrea Majcen. Giuseppe Guarino (1827-1897), Cardinal, a Salesian cooperator. Orestes Marengo (1906-1998), SalesianBishop, servant of God. Dimension of “charismatic affiliation”. It is interesting that we venerate certain Saints who shared with Don Bosco some period of life, appreciated the Holiness, Apostolic and educational fruitfulness , but then they traversed with Evangelical freedom, becoming in turn founders, with their keen insights, the genuine love for the poor and the boundless trust in the Providence. Saint Luigi Orione: from October 1886 to August 1889 he was a pupil of the Oratory of Valdocco in Turin. St John Bosco noticed the quality and included among his favourites, assuring him: “we will always be friends”. A cause of beatification is never a dry procedure, but a pilgrimage of faith in research, meditation and imitation of virtuous heroism of Saints. It is an ecclesial activity which has some liturgical nature, as it is aimed to the praise of God and the glorification of his faithful servants. To this we must add the fact that the causes for the beatification of confessors of the faith and all causes of canonization also include an accurate assessment of a miracle, which is a work done by God, through the intercession of his faithful servant outside the ordinary of the causes known to us. If the verification of the heroic virtues of a servant of God is a work “from below”, the miraculous event is a work “from above”, a free intervention of God, which requires a scrupulous scientific and theological verification of true facts. While not lacking groups and initiatives that laudably promote the knowledge and prayer regarding a Saint, Blessed, or the Venerable, Servant of God, it is necessary that this aspect is attended and promoted. In this sense it touches the large number of venerables (currently 13) who could have been beatified by now, but lacking a miracle they remain fixed. One thing that makes us think is that the last canonization of the Salesian Family, promoted by our postulation, is that of St. Dominic Savio (12 June 1954), and more than 60 years ago! The canonization of St. Luigi Versiglia and St. Callisto Caravario received dispensation from the miracle granted by Pope John Paul II. Responsible for the cause is not only the postulator, or some individual devotees, but the ecclesial communities in the various components involved (dioceses, parishes, congregations, associations, groups …) express interest, enthusiasm and participation. 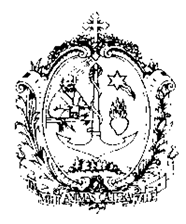 Promoting prayer through the intercession of the servant of God, through images (also old garment relics), brochures, books … to spread in families, parishes, religious houses, spirituality centres, in hospitals to ask for the grace of miracles and favors through the intercession of the servant of God, of the venerable and blessed. It is particularly effective in disseminating the novena to the servant of God, invoking the intercession in individual cases of material and spiritual needs. It highlights two formative elements: the value of the insistent and trusting prayer and that of communal prayer. In this regard I would like to recall the biblical episode of Naam the Syrian (2 Kings5:1-14), where we see different elements: the reporting of man of God by a maiden, the order to bathe seven times in the Jordan, indignant and resentful refusal, wisdom and insistence of the servants of Naam, Naam’s obedience, getting not only of physical healing but of salvation. You can also remember the description of the first community of Jerusalem, when it states: “all these they devoted themselves in continuous prayer, along with some women and Mary the mother of Jesus, and with his brothers” (Acts 1.14). Once a year a commemoration day, highlighting particular aspects or events of the figure of the servant of God etc. and involving groups that are especially “interested” to the witness of the servant of God etc. (e.g. priests, religious, youth, families, doctors, missionaries …). Promote awareness through the preparation of the critical edition of the writings, biography and other multimedia productions. Periodically introduce the figure of the servant of God in the Salesian bulletin, in the parish bulletin and in the Diocesan newspaper. Revise and rearrange the environments where lived the servant of God. Organize an archive with all the documentation related to the servant of God, and the computerised database. Create an economic source to support both the costs of the postulation for the cause and the work of spreading the cause. 3.2 INITIAL DISCERNMENT BEFORE STARTING A CAUSE FOR BEATIFICATION AND CANONIZATION. First, we need to investigate and document with great caution and care about the fame of sanctity and miracle of the candidate and the relevance of the cause. This is to verify the truth of the facts and the consequent formation of a firm moral certitude. It is also essential that the cause in question interests an important and significant portion of the people of God and is not intended only to some group, or even to a few people. Unfortunately some of our causes, beyond the sanctity of candidates, suffer from this fact. Often the question arises: but who cares about this cause? who promote it? Who really wants this process? All this entails a more motivated and documented initial discernment, to avoid waste of energy, strength, time and resources. Every cause filed requires much effort, care and dedication. The passage of time, changing people (postulator, speakers, deputy postulators, collaborators …) often slows down the process started. Also sometimes it seems that the processes of beatification and canonization is a purely bureaucratic and formal, that only affects someone, and not an ecclesial, Congregational and the Salesian family event. Instead they must arouse the interest, passion and involvement of so many. Experience confirms that the promotion and care of causes of beatification and canonization of our family, the unanimous celebration of events related to holiness, are dynamics of grace that arouse Evangelical joy and charismatic sense of belonging, renewal resolutions and pledges of loyalty to the vocation received and generating Apostolic vocational fruitfulness. From 6-9 April 2016 a special seminar, a grace to share on the theme Salesian Holiness: “Contemplation and recognition of the work of the spirit who works wonders” was organized. 120 persons participated including salesians, FMA and lay representatives of numerous groups of the Salesian family or country of origin of our candidates for sainthood. Objectives of the seminar: enhancing the spiritual and pastoral heredity of the saints of the Salesian family; offering guidance and good practices to promote the causes of candidates for sainthood; helping in investigating and in accompanying presumed miracles; understanding the true meaning and purpose of a canonization process. The motivation of the seminar is given by the need to mobilize spiritual and pastoral care of the whole Salesian family, friends and admirers of don Bosco and his charism to sensitize and to rediscover those teachers of life who reflect in an original way the light of the Gospel and of the Salesian charism. Cardinal Angelo Amato, prefect of the Congregation for the causes of Saints, helped the participants to understand the pastoral and spiritual significance of the causes of Saints, solid pillars of the Church, tangible expression of God’s goodness in the heart of the world. The report by don Pierluigi Cameroni offered a clear status overview for the causes of Saints and blesseds of the Salesian family and issued an explicit invitation to greater attention and more effort in this area. Significant in this respect were the experiences of promoting the causes described by sister Sylwia Ciezkowska, Vice Postulator for the cause of the FMA, Sister Elizabeth Alvarez Pavón FMA presented the historical and theological centre “Blessed María Romero” of Costa Rica; Father Paul Ripaud SDB presented the Venerable Camille Costa of Beauregard, and Maria Rita Safi Salesian Cooperator, the Centre of spirituality, “Da mihi animas cetera tolle,” born on the birthplace of the blessed Alexandrina da Costa in Balasar (Portugal). It was really enriching, the theological depth and illuminating orientations of don Andrea Bozzolo, Dean and Professor of the Faculty of theology in Turin-Crocetta, on the theology of Holiness: the dynamics of grace in saints and that of Dr. Lodovica Maria Zanet, collaborator of the postulation, on “demonstrable Holiness and its requirements”. Some members of the Congregation for the causes of Saints, mons. Robert Sarno and mons. Michele Prattichizzo, treated respectively, scientific and theological elements required to verify a presumed miracle, and administrative aspects related to the causes of the Saints, according to the criteria of transparency and solidarity. Sharing of experiences and initiatives were rich and varied to promote the causes of beatification and canonization. In group work, participants noted how the testimonies of the saints are touching people’s lives and sparked the spiritual conversions, pastoral initiatives and charitable works. In his speech on Sunday 10 April, the Rector Major linked the seminar with the strenna of the year, placing it in the light of the testimony of so many brothers and sisters who have walked the adventure of the spirit. “In them let us contemplate and recognize the work of the spirit who works wonders: each one is a word of God lived, is the visible manifestation of an attitude, a feeling, a moment of the life of Jesus. It is not enough to know life and works, you need to go deeper, to discover their spiritual wealth, the specific way by which they were conformed to Jesus Christ and lived their belonging to the Church and to the Salesian family “. Characteristic feature of the seminar was the presence of many lay people, striving to promote knowledge and devotion of Holiness in the Salesian family and in the various ecclesial communities. This is a great novelty and together a precious indication of a journey that realized the intuition of Saint Francis de Sales, revived and confirmed by the Second Vatican Council, the universal call to holiness and complementarity of vocations. All participants in a single voice testified that they lived a true experience of the Holy Spirit, of intense Fellowship and genuine spiritual friendship, confirming that the promotion and care of causes of beatification and canonization activate dynamics of grace that arouse Evangelical joy and charismatic sense of belonging, renewal of resolutions and pledges of loyalty to the vocation received and generating Apostolic and vocational fruitfulness. Everyone had a demanding task: to make known in the various Provinces of the seminar content, because it demands in all a responsibility to answer the common vocation to holiness and one can promote it through the causes of beatification and canonization. 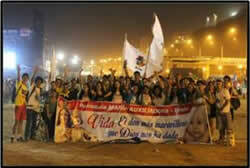 It is also urgent to make it known to the young people, to all, as a treasure of the Church and of our family. As it was recalled by Mother Yvonne Reungoat on the first day of the seminar: “it is important to exercise to discover the signs of Holiness in those who live next door. Holiness is the most precious treasure of the Church and of the Salesian family. Increasingly it is worth knowing and … strive to express it! “. The next seminar will be held from 11 to 14 April 2018. 2015 - 2019 © - All Rights Reserved.